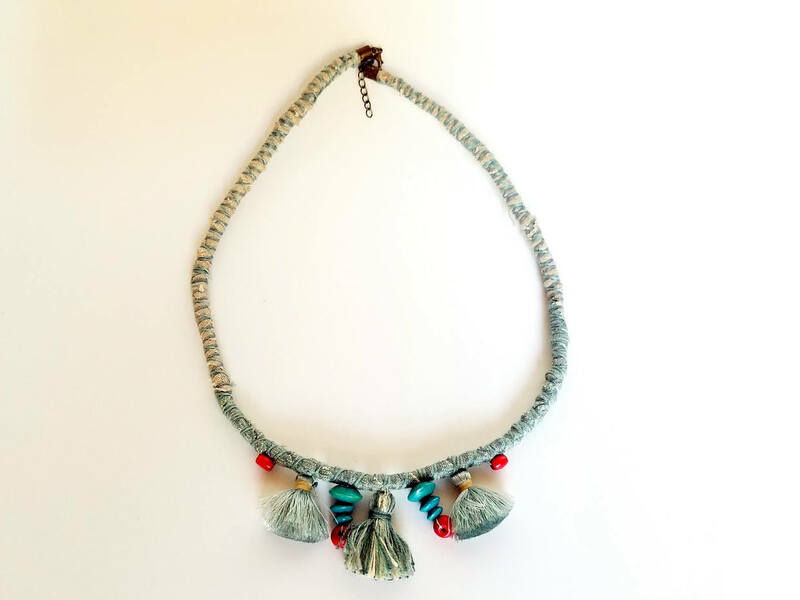 This beautiful, one-of-a-kind steel-blue textile necklace has an ethnic/tribal feel. 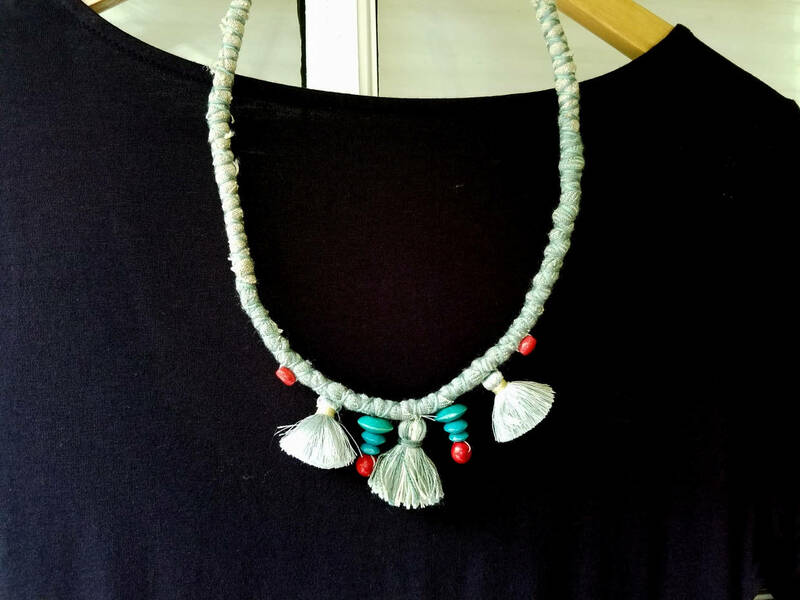 It is a true statement necklace that will go with many outfits and give a POP to your look. 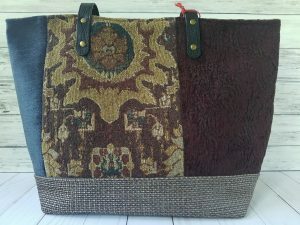 It is constructed from high-end designer fabrics, wrapped around a rope. 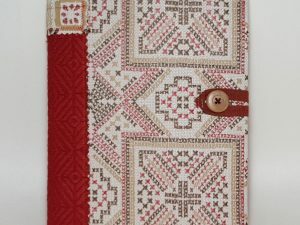 The cotton fabric is then wrapped with two different matching colors of embroidery floss. 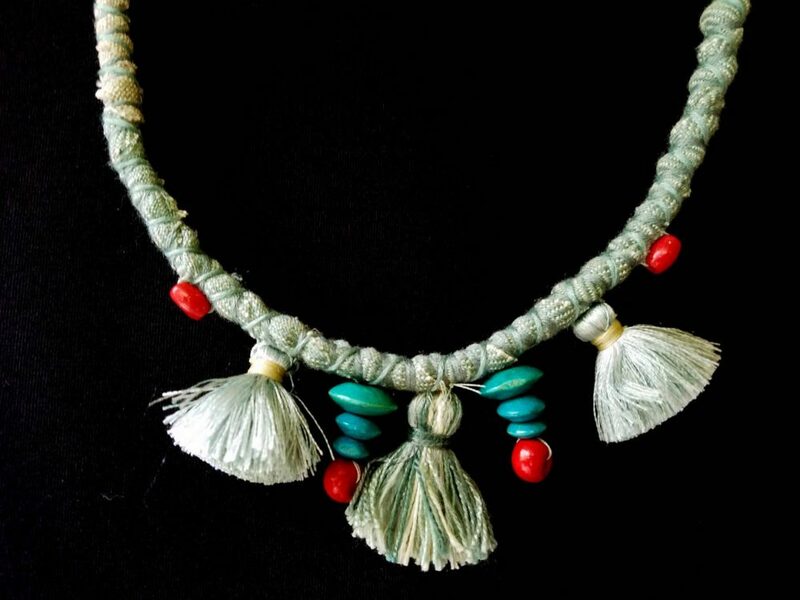 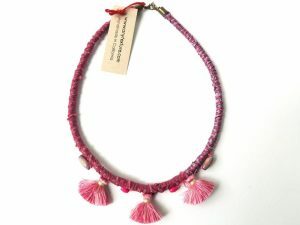 The necklace is adorned with three tassels, and also with turquoise and red wooden beads. 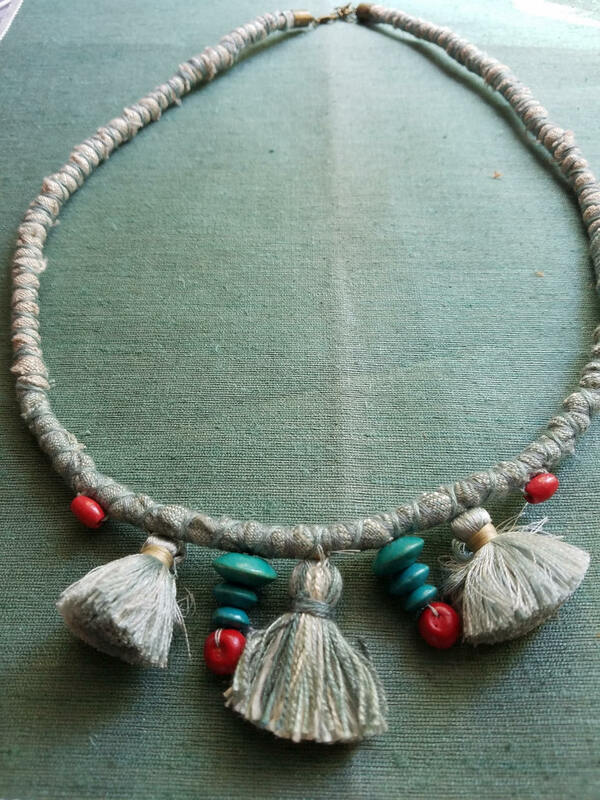 – The necklace is 24.5" long. 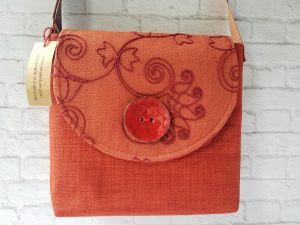 – Uses two colors of embroidery floss. 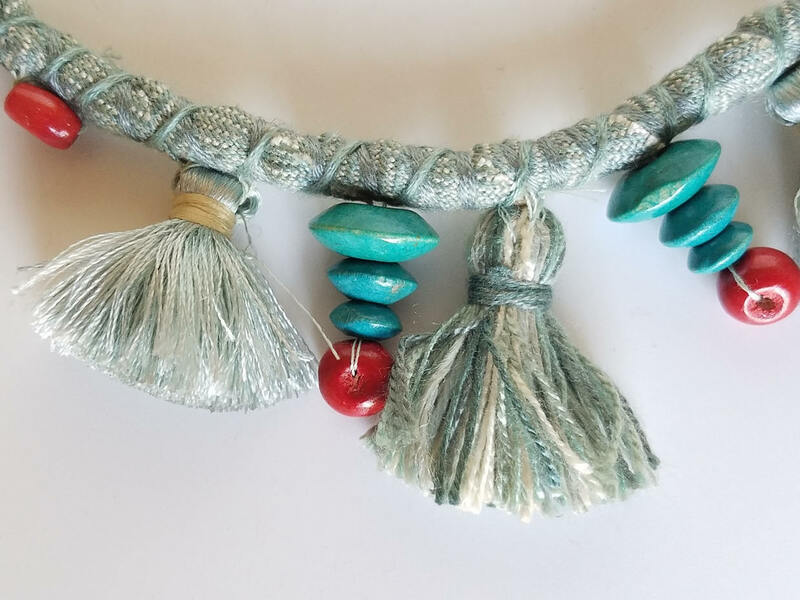 – Features three steel-blue tassels with some white in them. 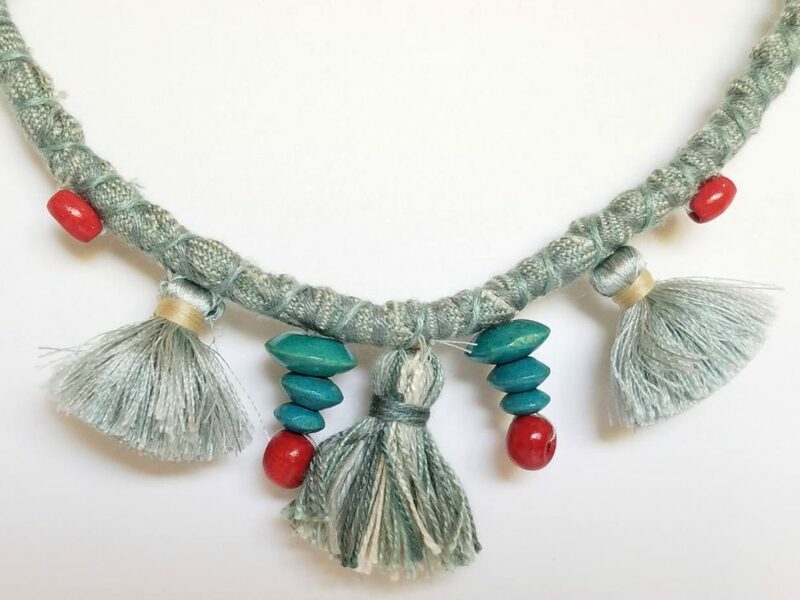 – Adorned with turquoise and red wooden beads.